Published: 2013-02-21, by Peter Warrior. 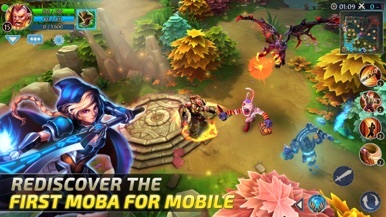 "League of Heroes of Legends"
MOBA games have found a nice niche within mobile gaming industry, mainly because they allow a wide series of possibilities, and this Heroes of Order and Chaos is no exception. They can be played alone (you should at first, indeed) or go into the wild into multiplayer-ness. In case you haven't realized it yet, game's about defeating all your enemies, it doesn't matter they are human or AI controlled, in a maze-like stage. 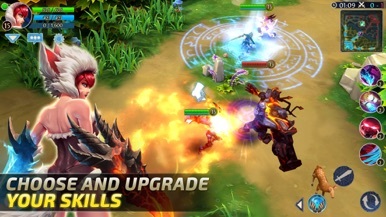 It has some RPG elements, as there are experience levels and skill trees. 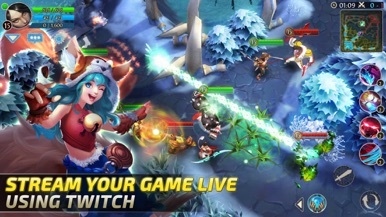 The fact there are 30 unlockable different characters, each having their own techniques, makes a game with a simple gameplay as "tap to move and tap to shoot" become unexpectedly deep. Game's beautifully voiced (darned I if that voice isn't Asphalt's!) 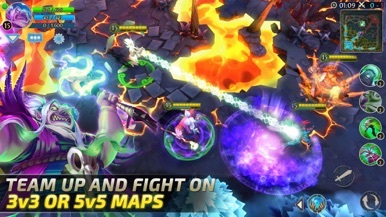 and graphics are zoom-in-able, though you will unlikely do so in the heat of the battle. It may sound as a cliche, but this game is really easy to learn but hellishly hard to master, especially if you dare to play online. 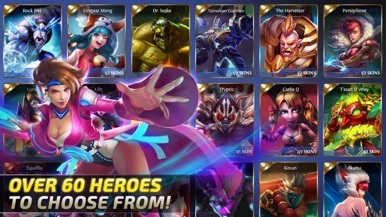 Gameloft has been faithful to its philosophy of not being the most original developer on Earth, but create great and very playable games instead. Help Twilight Sparkle build a new town and accomplish all tasks. MY LITTLE PONY is an application based on the popular creatures made famous in the 80s. After being locked away for centuries, Nightmare Moon is set free and destroys Ponyville. But there is Twilight Sparkle, who will help their friends rebuild the beautiful town they live in and achi….